Situating strategic planning and budgeting within the organization and administration of higher education institutions, this text provides effective and proven strategies for today’s change-oriented leaders. Bringing together distinguished administrators from two-year, four-year, public, and private colleges and universities, this volume provides both practical and effective guidance on the intricacies of the institutional structure, its functional activities, and contingency planning. 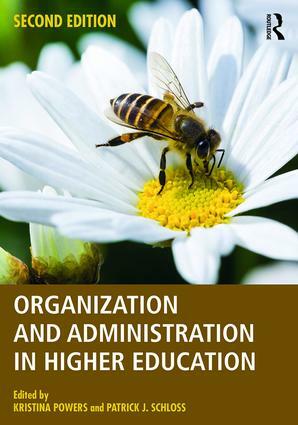 Organization and Administration in Higher Education orients future administrators to the major areas of an academic institution and will assist higher education administrators in leading their institutions to excellence. New chapters on the impact of Title IX and social media on higher education. Updated coverage throughout on politics, technology, budgeting, program planning, and institutional changes.